#SmoothEnergy For many years the health benefits of ginseng have been known, now through technology, we can have all the health benefits in a concentrated liquidcap. One liquid capsule is equivalent to 2,000mg of Standard Ginseng Extract, over 4,500 mg of Standard Ginseng. Over 18 X mare than other ginseng products.This product is fully balanced and absorbed through enzyme fermentation. 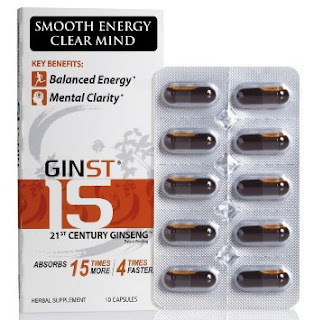 Ginseng LiquidCaps give you smooth stable energy, mental clarity and focus, and support restful restorative sleep. Just let a liquidcap dissolve under your tongue or simply swallow. GS15-4 Fermented Ginseng Extract is proven in human clinical trials for high absorption : 15 times more absorption, 4 times faster , 5 times more consistent. No high Heat processing, so no denaturing and all ingredients are retained 15 Amino acids, 18 minerals, and 7 vitamins. This a powerful blood detoxifier.